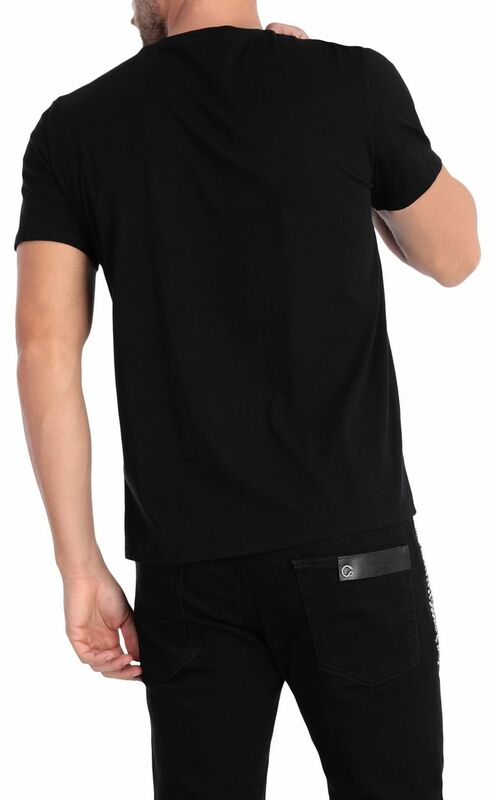 Short-sleeve crew-neck t-shirt in black made from 100% cotton. 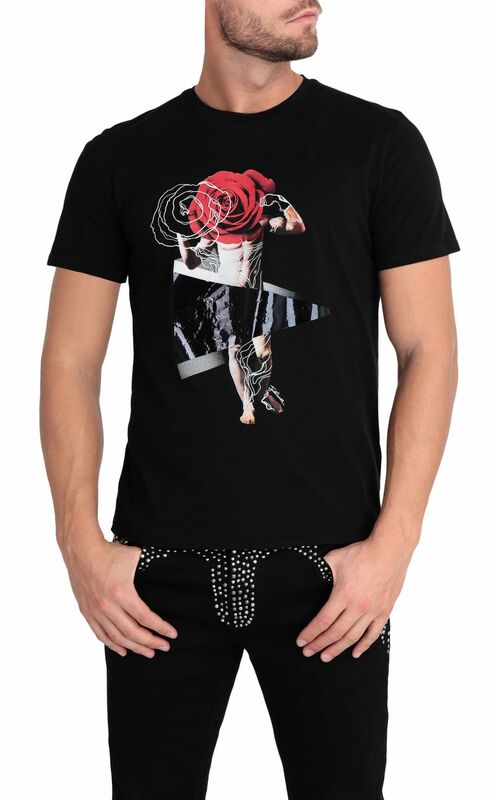 Featuring a print design showing a Just take on a sculpture embellished with roses and geometrical detailing. 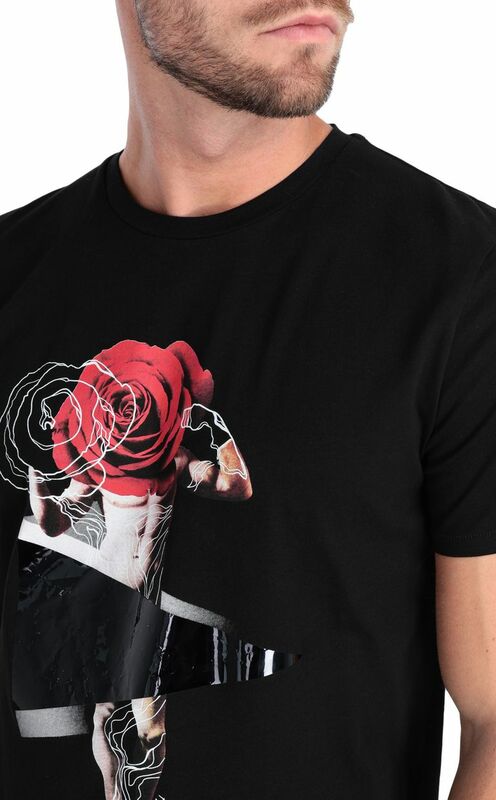 The print design takes its inspiration from the city of Florence and Michelangelo’s sculptures. Round neckline. Slim fit.